You can do varied nail designs with just odd bits hanging around the home. A toothpick is one fantastic inexpensive tool. After trimming my nails and shaping them I applied a coat of Sally Hansen "Be-Long" nail strengthener for a base. Once dry and re-applied once more I used AVON French Manicure Nail Polish - "White" , this took about two coats. Leave to dry. 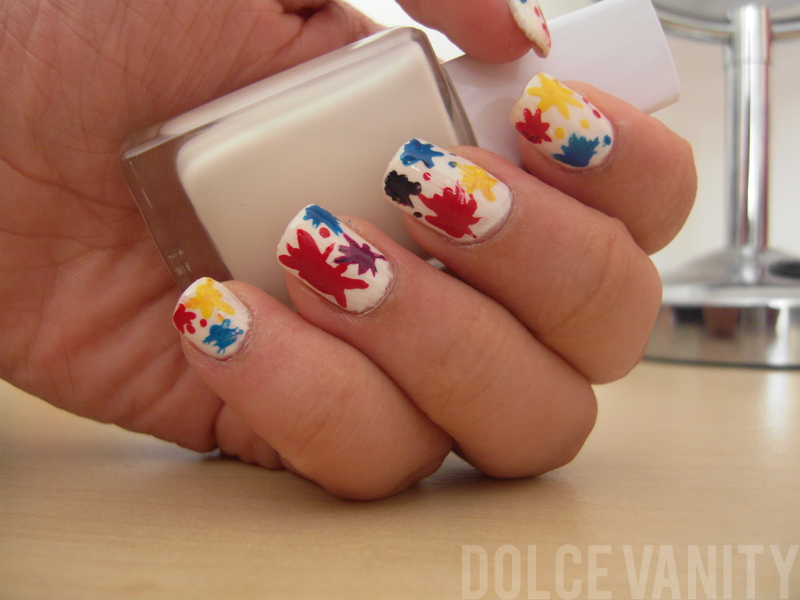 Taking one nail colour place a blob in the corner of your nail ; pick up your toothpick and start to flick just like you would if it was on paper to create a splatter effect. My splatter tutorial was sooo messy compared to yours!! LMAO!! I may need to do this this week!